Therapeutic massage is that perfect place between relaxation and deeper work. Basically, you need some legitimate bodywork done...but you're not down with the pressure of a deep tissue. Totally understandable! Therapeutic massage may involve different techniques to get you where you need to be including: myofascial release, trigger point, and even some relaxing Swedish strokes...but at a pressure that is comfortable for you. Thai massage combines yoga-like stretches, deep muscle compression, joint mobilization, and acupressure to help loosen up tight muscles and enhance relaxation. This is a great option for those who need deeper work! Sometimes referred to as "The Lazy Mans Yoga", this is mat based work and requires loose comfortable clothing that is easy to move around in. As the body builds up tension, knots in the muscle begin to form. This can result in pain, limited range of motion, inflammation, and disruption in circulation. Pain and limited mobility....not cool! Deeper, slower pressure can release muscle tension and break up knots, providing much needed relief in these problem areas. When you just need your surroundings to shhhhh for awhile! This service is geared towards promoting relaxation. 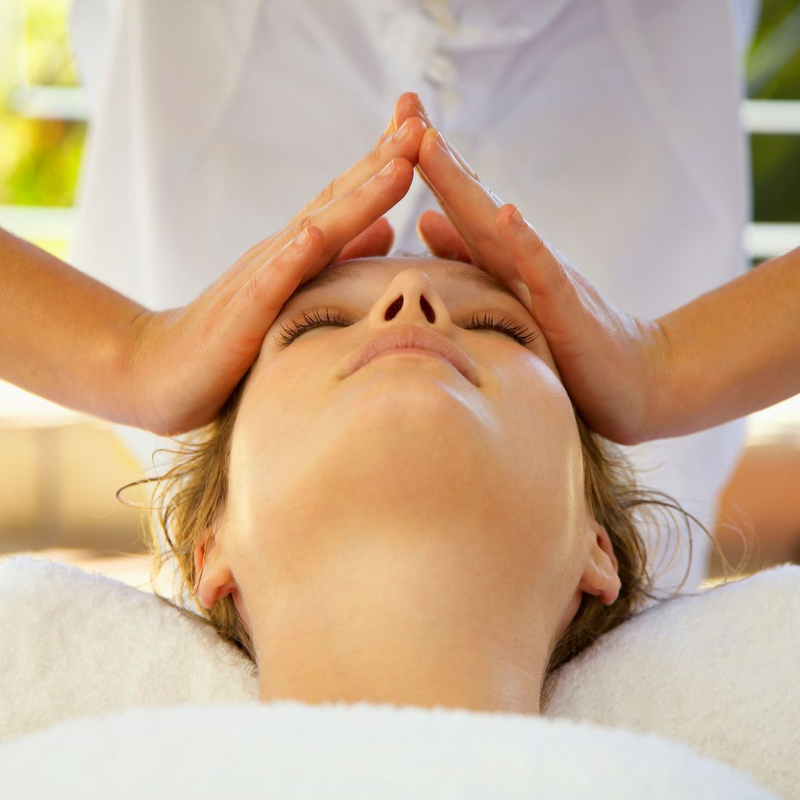 A Swedish massage can ease muscle tension with the use of long, soothing strokes throughout the body. This service is designed to melt away your muscle tension with: Hot Stones, Aromatherapy, Heated Eye Pack, Heated Neck Pillow, and Hot Towel Compressions. Tension Tamer focuses on neck, arms, and back to target areas where muscle tightness builds up. Therapeutic and pampered, all wrapped into one service! Enhance your relaxation experience and let hot stones melt away muscle tension and tightness. Stones are safely heated and consistently moved over the body throughout the entire massage. A wonderful experience for expecting mothers. Pregnancy can be hard on your body and for some, absolutely draining. Receiving a prenatal massage can be rejuvenating and ease tension throughout the body. Bolsters in a side-lying position are used to make mom comfortable and prevent putting pressure on the abdomen. Prenatal sessions can be done on the table or fully clothed on the mat. Have you been neglecting your self care and literally everything on your body hurts? This session is the complete package designed to help get you back on track and recharge! This session incorporates Myofascial Release, Trigger Point, Thai & Craniosacral Work to address all your areas of tension. This session is very in depth bodywork and is only offered in one session length. Sessions are priced by length of time, rather than type of service. This way you can rest assured your concerns will be addressed despite your preference in pressure or technique. Every Body is different and for that reason each session is customized to meet your needs! Enhance your massage session for the ultimate relaxation experience! The following services are available to add onto any session. Dry Sauna Sessions can be added on before or after your massage. Book it before to help loosen up tight muscles and tension. Book it after to focus on relaxation & detox! Sauna Sessions are always $5.00 off when scheduled with a massage service, but can always be booked independently as well! Questions About Infrared Sauna Sessions? You know when the massage is over and it's time to get up? Now you don't have to! Stay a little longer and enjoy a nap session on the table. Your feet will be wrapped in hot towels, your eyes covered with a warm eye pack, a heated pillow placed under your neck, and soft weighted blanket draped over you for warmth and comfort. Are your feet exhausted? This gentle exfoliating foot treatment is a wonderful enhancement to any massage service! Includes: revitalizing sugar scrub, soothing hot towels, and moisturizing body butter whip. Pamper your feet for all they do for you!